Happy Fall! Time to Check Your Coolant. Oklahoma City drivers are no strangers to inclement weather. Tornados, ice storms, and high winds tend to get our collective attention. But what about rain? Driving in heavy rain is no big deal, right? Wrong. Heavy rain is one of the busiest times for an OKC wrecker service. Driving in heavy rain is never good. The road surfaces become slick with water, causing many vehicles to unintentionally hydroplane, which could potentially cause collisions with vehicles and objects. Deep water on the roadway caused by excessive rainfall can also damage your vehicle and cause engine failure. Pulling over while driving in heavy rain when something’s wrong with your vehicle is an incredibly daunting prospect. You’re braking needs to be adjusted to accommodate the wetter road surface and avoid hydroplaning, so always make sure you maintain a safe distance from vehicles and lower your speed when pulling over. You should always maintain a slower speed when driving in heavy rain, so if you unexpectedly need to pull over the speed should hopefully be lower than normal anyway. Once you stop, put your hazard lights on and call for roadside assistance. It’s important to remain as visible as possible whenever driving in heavy rain. Both you and your vehicle become much more difficult to see in rainy conditions, especially at night, so when pulling over to the shoulder, always take the time to turn on hazard lights and side lights, although avoid full beams as they could impair other drivers. You may want to pack a high visibility vest in your trunk for emergencies, which can be especially useful for remaining visible in the rain when outside the car. Of course, try to remain inside if you’ve pulled over somewhere suitable, although there is always a chance you may need to wait outside for assistance. Breakdowns increase during heavy rains due to excessive moisture that can cause engine components to fail. This also effects the electrical systems and other parts of the vehicle, so don’t bother lifting the hood to try and get to the root of the problem, simply keep it shut and call for roadside assistance. Heavy rainfall often causes deep pools of water to develop on poorly conditioned roads. Sometimes these are the direct cause of your breakdown, with water intake causing significant damage to the vehicle’s engine. It’s tempting to try and restart the engine after accidentally driving through deep water but avoid this at all costs. The intake of water may cause the engine to lockup and damage piston rods and valves, so you may do more damage by trying to start the engine again. 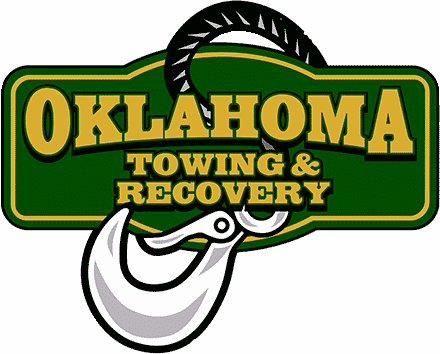 Oklahoma Towing & Recovery offers towing in OKC, roadside assistance in Bethany, tire change service in Warr Acres, and accident towing in Edmond. We’re here 24/7 to help you, and Oklahoma Towing is the TOP RATED TOWING SERVICE in the OKC Metro. Call us day or night at 405-896-0606.